Stir-fried Pad Krapow at Jay Fai in Bangkok. The Expat: Dwight Turner, who runs the Bangkok-based nonprofit In Search of Sanuk, which provides food, shelter and educational support for survivors of torture and trauma, with a focus on at-risk women and girls. The Atlanta native also has his hands in a number of food-related ventures, including Courageous Kitchen, which provides cooking classes for disadvantaged kids and teens, and two food blogs, Eating Thai Food (written with friend Mark Wiens) and Bangkok Fatty. What is your neighborhood and home like? Since 2008, I’ve lived in several Bangkok neighborhoods and am now living in the On Nut area. Most of the time there’s a lot of street food, markets, fairs and all sorts of people selling different things all day. I think Americans may be surprised that despite all the food in Bangkok, very few Thai city dwellers have kitchens in their homes. In six years, this is my first time having a kitchen. How is the political unrest affecting life in Bangkok? Political unrest is normal in Bangkok. There have been several new governments and multiple prime ministers since I began living here. There was even a coup in the first year I moved here. It’s a giant inconvenience for people living here, but for the average person, life must go on. Tell me about Courageous Kitchen and the kids you’re involved with. Courageous Kitchen is a project started to help families I support with my nonprofit In Search of Sanuk. All of the children come from families with traumatic histories. Many of the students are also from single-parent households and they’ve had to grow up fast. The project was started to pass on to them skills they could use at home, where the cooking is very rudimentary, and to help build their confidence. They’re tough kids and really resilient, despite what they’ve been through. All of the classes are held in my house. We’ve had one session at a local restaurant that invited us into their cooking school to make pad Thai and green curry. That was a big deal for our kids and they still talk about it often. Where would you go for some great street food? For street food, most tourists frequent Sukhumvit Soi 38, Chinatown, and Khao San Road. But I encourage people to go away from the crowds and visit less-traveled restaurants and markets. One such area I love is the Nang Loeng Market area. If you need to get some street food in a more accessible area, try the Ari area or wander down Soi Convent and the surrounding area during lunchtime. Khlong Toey market can be intense and overwhelming, but it’s one of my favorite places to take people. If you're a bit squeamish about jumping into Bangkok's largest wet market, then you should try the Aor Thor Kor, which is more refined and cleaner than many restaurants! What are some must-eat foods in Bangkok and where do you get them? 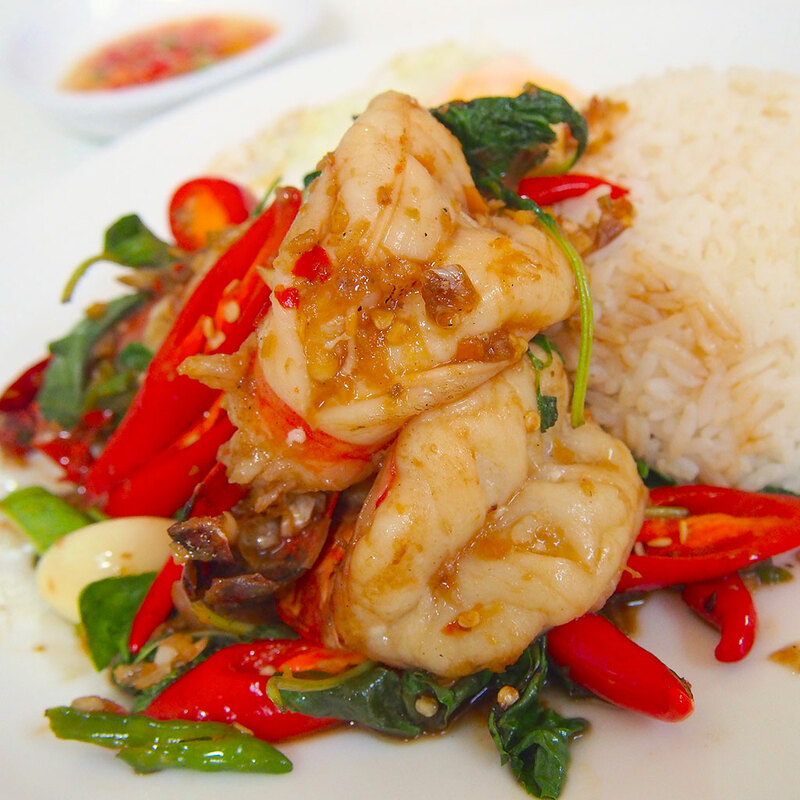 For the true Thai experience, you have to get your fill of pad krapow, Thailand's most well-known and loved dish domestically. There are endless variations on it. You can try it with giant seafood at Jay Fai, on a pizza at Pasta House, or a traditional version in a fancy setting at Naj Restaurant. Tell me about the most exciting restaurants in Bangkok right now. There are a few exciting things happening in the food scene. A flurry of restaurants are serving Thai haute cuisine, such as Nahm, Paste, Bo.lan and Sra Bua. Going the opposite direction of modern Thai cuisine, there are restaurants such as The Local, which prides itself on serving dishes that have disappeared from the typical Thai repertoire over the years. Finally, led by a growing demand in sustainable eating here, there are more options for vegetarians than ever. You can get good vegetarian food from some of the old faces, such as Khun Churn, or even grab a great meal at one of the more recent openings like May Veggie Home. For street food-style vegetarian, you can visit Banana Family Park in Ari. What one food or drink item would you miss the most if/when you leave Bangkok? I would miss home-cooked gaeng som, which is a deathly spicy hot curry from the south of Thailand. But it wouldn’t be unlike me to find someone to make it for me or do some experimental versions wherever in the world I am. I’m not really one who lets cravings carry on for too long. Ratha Tep is a former Food & Wine editor who lives in Dublin.